In the southwest corner of China, far from the places you may know like Beijing and Shanghai, the train tracks start to disappear and bus travel becomes the primary means of transport. It was in China’s Yunnan province that we finally escaped the population masses. Finally we got to experience a mild, pleasant climate. And it was there in Yunnan where we discovered what was quite possibly our favorite of the 15 provinces we visited in China. Yunnan is rich in minority culture, sharing its borders with not only the Tibetan Autonomous Region, but also with Myanmar, Laos, and Vietnam. This proximity is manifested in both the local culture whose handicrafts and foods are unique from the neighboring Chinese provinces, and in the mix of travelers who pass through not just on their China travels, but also to/from their way to longer treks through Southeastern Asia. There seemed to be an abundance of produce and noticeably less oily foods. Thankfully as the train tracks petered out, so too did the density of tourist crowds. 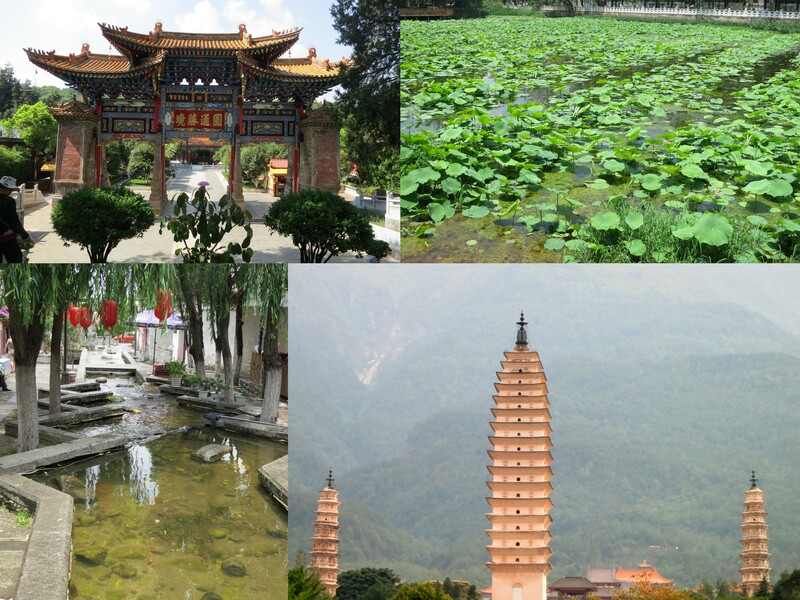 We spent an enjoyable couple of days in the capital Kunming, the “City of Eternal Spring”, visiting the University, Green Lake Park, and a Chinese friend we had made earlier in our travels. In Dali we indulged in the comforts of a “luxury” hostel, complete with in-room DVD player and wide selection of American movies, cheap laundry, travel advice and courtyard café bar. In addition to Dali’s charming old town we pursued active sightseeing by biking around Erhai Lake (“Ear shaped sea”) and hiking up to the monastery on the mountain. Unfortunately we succumbed to the temptation (but only because we needed an ATM!) to visit the item on the Yunnan bucket list of every Chinese domestic tourist – the city of Lijiang. It’s an historical UNESCO World Heritage site, though is supposedly threatened with losing this status due to uncontrolled development and over-commercialization. It is severely crowded with homogenous souvenir shops and cookie cutter hotels. It was the one blemish on our otherwise laid back holiday through Yunnan. Our last stop in Yunnan was Shangri-la, a town that actually renamed itself from the less catchy “Zhongdian” to promote tourism. It was our first taste of Tibetan culture, an example of yet another minority culture with a strong presence in this diverse province. Our major activity here was to catch up on rest and acclimatize to the high elevation of almost 10,000 feet. 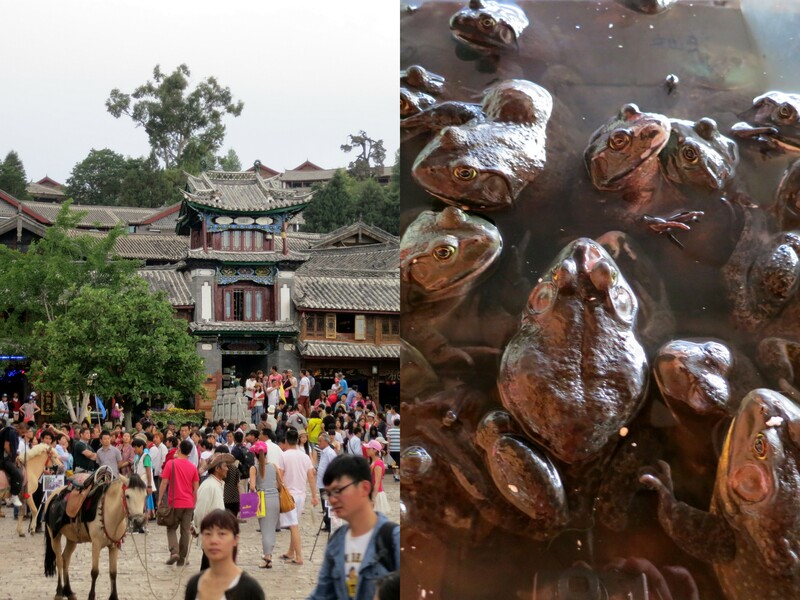 With all the crowds in Lijiang (see left) we felt like these poor frogs in the Lijiang market awaiting their fate (right). 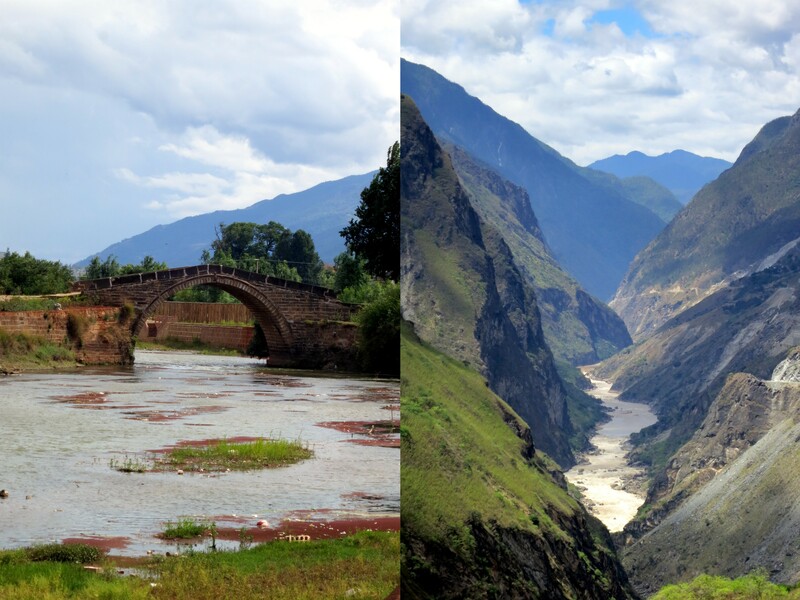 It was against this backdrop of calm cities and a friendly local/traveler climate that we came across 2 true gems that stood out as highlights not just in this alluring province but on our whole China trip: Shaxi and TIger Leaping Gorge. Layers of land cascading in a step-wise fashion down the hillside. Pools of water with their reflections adding a mirror-like quality to the lush green land. The terraced paddy-fields worked by the hands of the rice farmers seem apart from the rest of bustling modern China. The Han Chinese take a back seat in the observer role to the local minority cultures present in the predominately ethnic Zhuang and Yao villages. This is the Dragon’s Backbone. This ridge of rice terraces in the foreground is called the “Dragon’s Backbone” since it looks like a (scoliotic) spine. All the cities here are huge! Sure, we had read that Shanghai had three times as many people as New York City, but what we didn’t realize was that all the other little dots on the China map are huge cities as well. The US has nine cities with over a million people; China has 171. Chicago, our 3rd largest city, would rank 34th in China (for comparison, our 34th largest city is Fresno, CA). What this means for a traveler is that when you try to escape the big city, you just end up in another city with a couple million people, and then when you try to escape that, you end up somewhere with several hundred-thousand. It takes a bit of work to get to the real villages (e.g. multiple transfers on local buses and sometimes hiking). 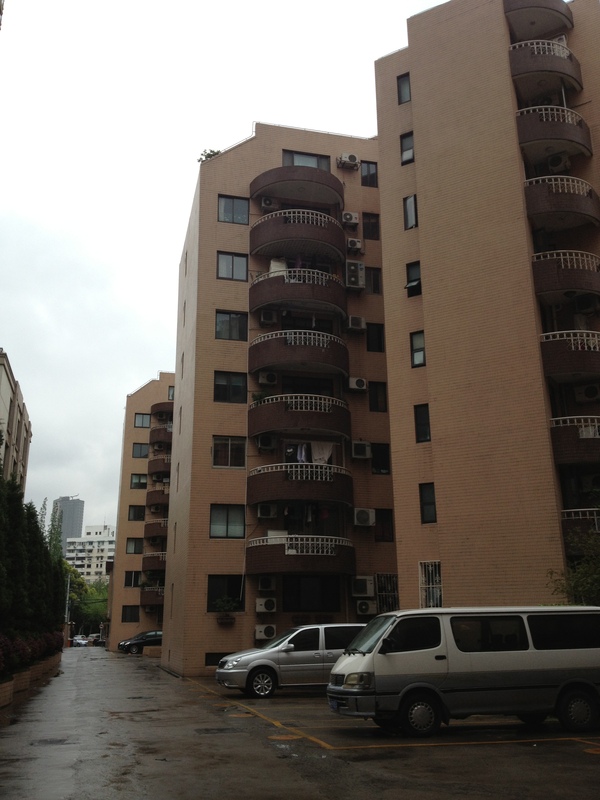 For our first few weeks in China, we explored the typically less traveled southeastern provinces. 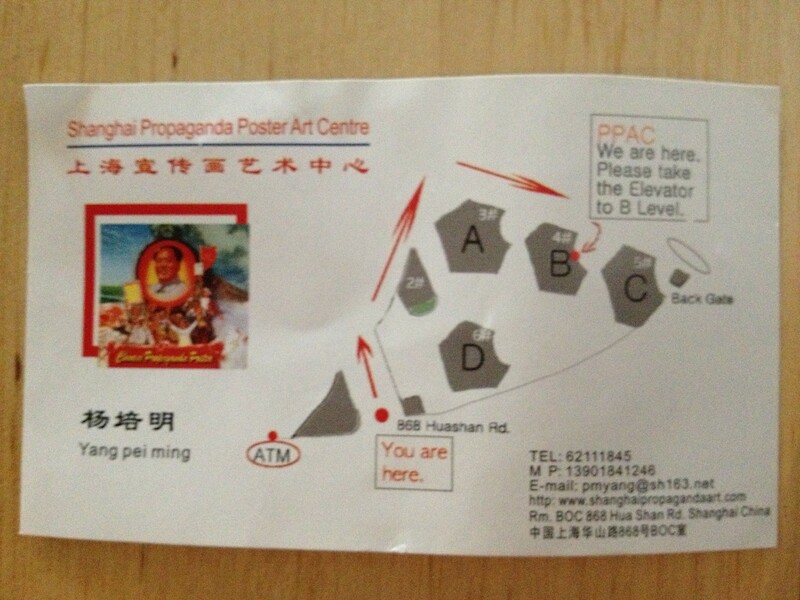 We found very little English spoken, few other Westerners, and almost no foreigner-focused activities. Pleasure was found more in settling into the culture, observing Chinese tourists, and assimilating into our new temporary ‘home’ country; we attempted to find the subtle treasures rather than checking major “sites” or “accomplishments” off our bucket list. By contrast, when we reached the southwestern province of Guangxi and the town of Yangshuo we found that the guidebook’s pronouncement of the place as a backpacker’s mecca to be true. While the destination still ranks high for domestic Chinese tourists, many activities are geared towards foreigners. The concentration of adventure sport offerings reminded us of fond memories we had from South America. The affordable prices meant we could fit several excursions into our sightseeing each day. And although the number of tourists is quite high (a few million per year for this city of 300K), the intrigue of the area is spread over a wide enough landscape that we did not find any particular site off-putting due to crowds. Immediately upon arrival the karst landscape is striking. The first day we managed to cycle around, getting lost in the countryside, which is really the best thing to do. The Old Town is crowded and touristy as expected, but it’s easy to quickly escape the hordes and explore the river basin area. We also joined up with a tour group that first evening to see the Impressions Show, a music and dance spectacle which was stunning in its outdoor riverside setting. The body of water literally serves as the stage, and the cast makes use of retractable walkways, boats, and platforms for parading around. It’s a huge production directed by Zhang Yimou with whom you may be familiar, as he produced the Beijing Olympics opening ceremonies. The creative use of lights, music, and cast of 600 people showcase the local minority cultures, their traditional way of life, and their clothing. Travel is always a series of obstacles, that ultimately result in pleasant experiences once the hurdles are (hopefully) surpassed. We particularly like the achievable challenges that make our quests just within reach, yet push our comfort zone by roughing it, doing something out of the norm, or by avoiding getting gouged with high prices. Visiting one of China’s most famous mountain ranges became our first such major challenge of the trip. This was not one of those times going off the beaten path though; in fact Huangshan (黄 – “Yellow”; 山 – “Mountain”) has been a site of inspiration for poems and scrolls of Chinese artwork for centuries (poems are found from as early as the 7th century). It’s stunning 36 peaks reach almost 6,000 feet, are frequently covered in a “sea” of misty clouds, and are named with their own dramatic and whimsical titles. Once we heard of its splendor and decided to go, a series of tasks awaited us in our efforts to ‘conquer’ the mountain. Obstacle #1: Travel during a Chinese holiday. 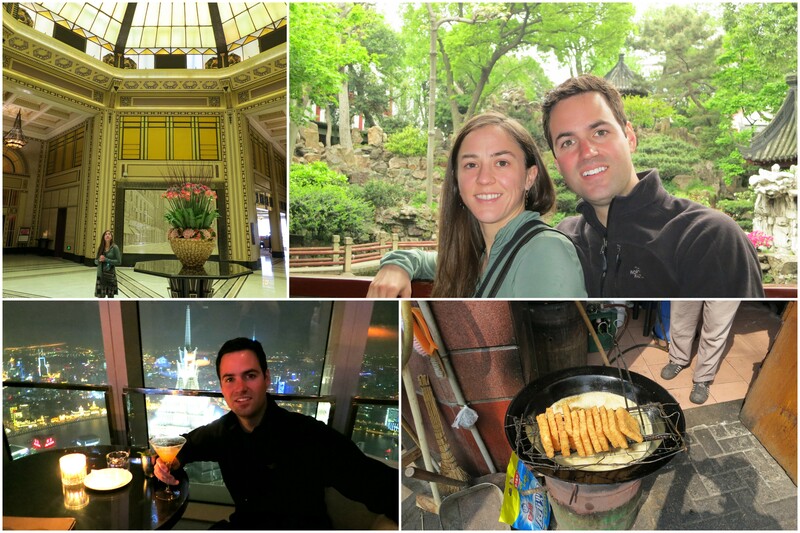 Shanghai was the first city we visited in China and it was a tourist-friendly spot for us to acclimate. English was prevalent on street signs, in museum explanations, and in shops. Public transport was clean, fast, and easily navigable. 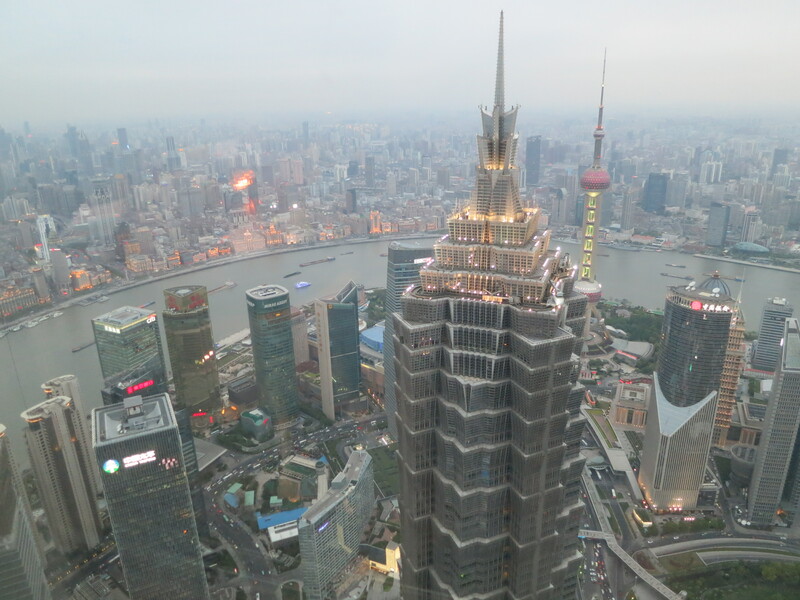 Within China, Shanghai has a reputation for lacking history and depth (many of the sites were built by foreign nations in the early 20th century) but we very much enjoyed our time there. We visited the main tourist spots and we also managed to find some charming out of the way places to enjoy street food, wandering walks, and open park space. It marked the first of many things we will continue to see over the coming weeks: relics from the long line of Chinese dynasties, Buddhist temples, and creative translations posted on signs. Click here to view all 67 photos in our full album. This blog chronicles our international wanderings. It includes posts from our 2013 adventure through China, Mongolia, and Russia on the Trans-Siberian railway. Posts from 2010-11 are from our prior trip through South America and Eastern Europe. Click here to receive email updates for each new post.